Finding a suitable name for your new brand is tough! As if starting a business wasn't hard enough, you have to come up with a meaningful set of words that somehow speaks to you. You've probably been juggling a few words around in your head for weeks now, but are a bit afraid to actually man up and purchase your domain name. We know the feeling! we spent a few solid days trying to come up with a name for our business back when we were just starting out. Here are some steps you can take to nail down a sweet name that will serve you well for years to come. 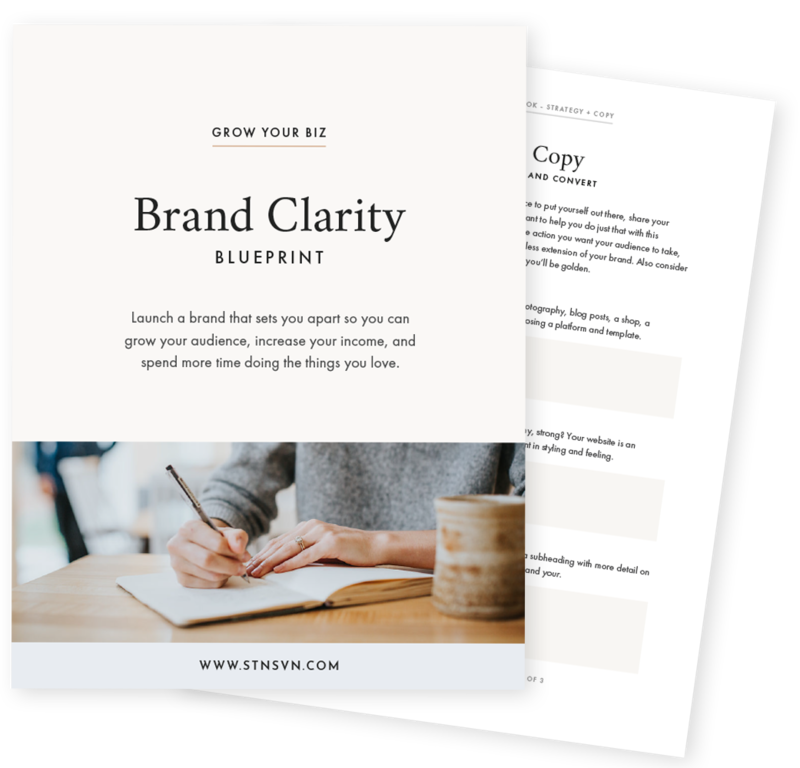 Get clear on your brand, attract your ideal audience, and grow your biz! What is your brand’s niche? What kind of service or product do you offer? What sort of readers do you want to reach? What kind of topics do you cover on your blog/business? What sort of value will you bring to your readers? What sets your blog/business apart from others? Write down everything you can think of that is associated with your blog or business. Consider your strengths, your mission statement, your target audience and jot down words that somehow relate to them. Make sure that these aren't just any random words, but words that positively describe you and your blog or business. Your name should ideally give people a pretty good idea of what you and your brand are all about. Is it easy to read, spell, and remember? Is it still going to be significant in the future or does it just relate to what's "in" at the moment? Will the name limit you to just talking about certain topics? Will the name provide opportunities for improvement and progress in the near future? Does it roll off the tongue nicely and sound appealing? Once you’ve got a great idea for a name, make sure to Google it. Check for any existing blogs or business that are already using the name in your industry and rule out the name if there are. It would be pretty darn unfortunate if you spent time, money, and effort establishing yourself under a name that some other brand is already using. Now for the domain check! This is the last major hurdle before blog naming bliss (that’s a thing, right?). Head over to GoDaddy and check if your desired domain name is available. If not then try, try again. Consider different combinations, short forms, alternate domains like .co and possibly even a different name if things aren’t going so well. And in light of simply starting, we've put together a pack of logos, submarks, favicons and pin it buttons that will allow you to do just that. Just enter in your name, make some unique edits that speak to your brand and you're ready to go. 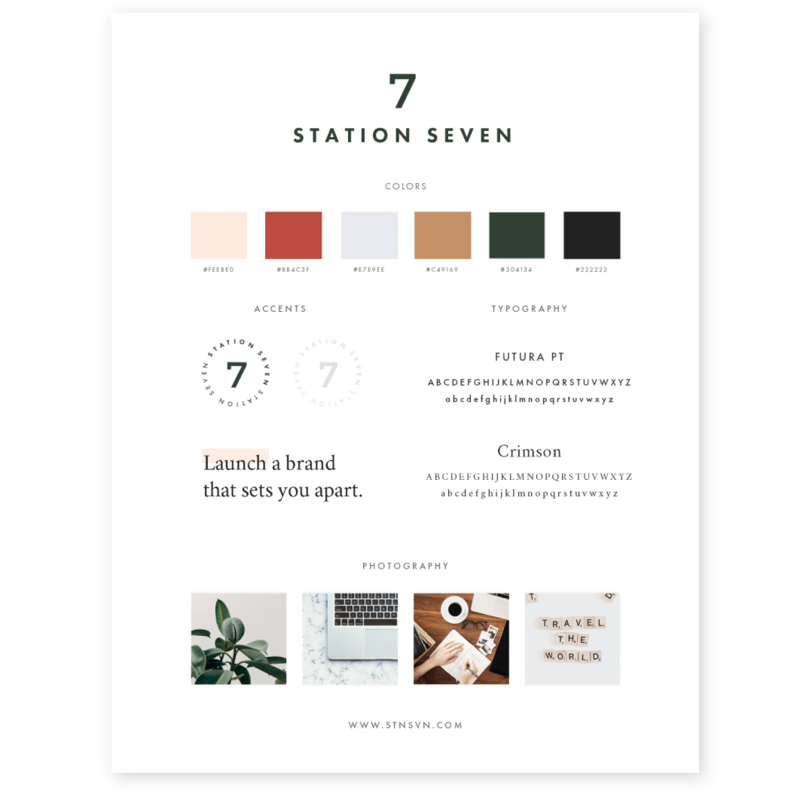 Be sure to show off your new look with our free style guide template below also! Pull all of your brand elements together and launch a cohesive brand + site! What’s your experience? 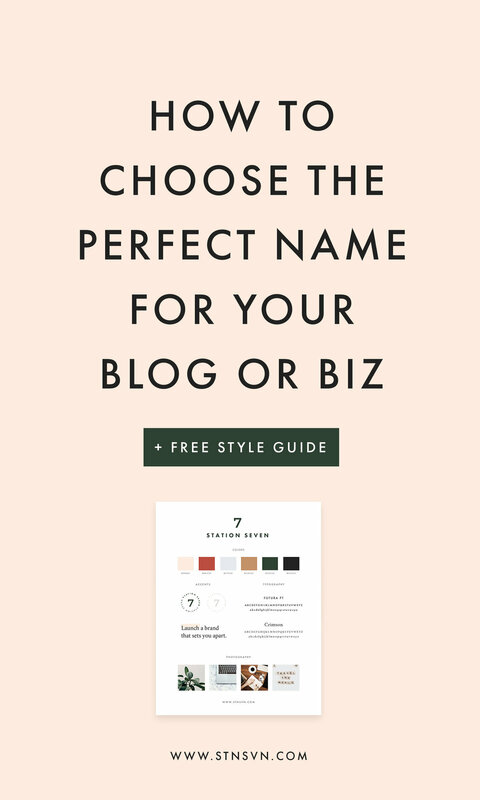 How did you come up with your blog or business name? Was it a long, gruelling process or glaringly obvious? We would love to hear your experience below. And if you’d like some feedback on a name, just ask!